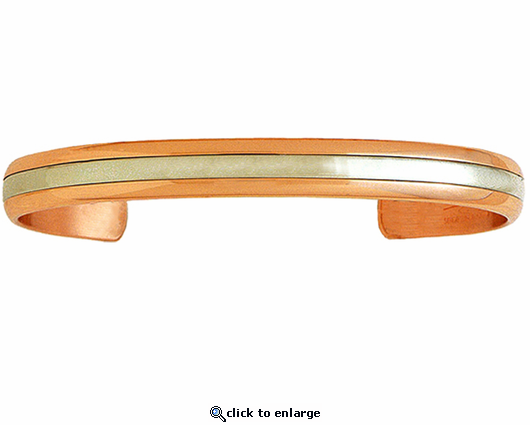 This handmade copper bracelet is non magnetic, so no magnets are added. Sergio calls this Two Worlds. No plating is used and it is Made in USA.